Kumbh Mela is one of the most sacred festivals of India and is arranged at a big scale. According to the Ethics in Hindu, it is considered that when Gods and Demons were fight-ed for the Nectar [Amrit]. 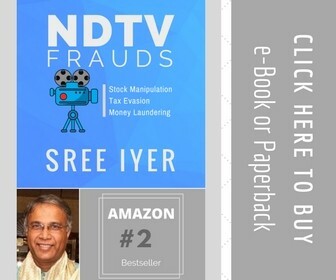 The Lord Vishnu then flew away with the pot of nectar spilling drops of nectar at four different places; where the Kumbh mela are celebrated, these places are Hardwar, Nasik, Ujjain and Prayag. Due to this these places are considered sacred and is of great importance in Hinduism. Nasik Kumbh Mela is celebrated when Jupiter and the Sun enters in the zodiac sign, Leo [Simha]. 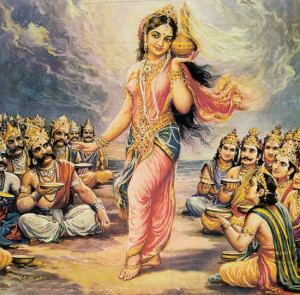 The occasion of Kumbh Mela depends on the situation of Jupiter (Brhaspati) and the sun. 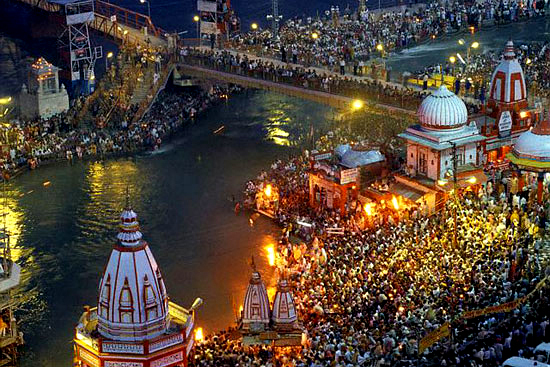 When the Sun is in Aries (Mesh Rashi) and Jupiter in Aquarius, it is celebrated in Haridwar. 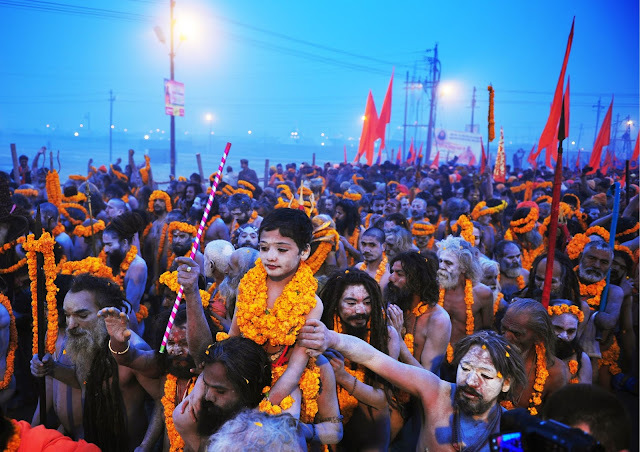 When Jupiter and Sun are in Scorpio (Vrishchik Rashi) Kumbh Mela is celebrated in Ujjain. While the Jupiter and the sun falls on the zodiac sign, Leo; then Kumbh Mela is celebrated at Trimbakeshwar in Nasik. rituals. Ceremonies like religious discussions, devotional singing, mass feeding [Annadan] are performed. From these, bathing is considered as most sacred and takes place at the bank of river in every town, where Kumbh Mela is celebrated. Kumbh Mela is celebrated at Trimbakeshwar in Nashik Maharashtra, it is celebrated once in twelve years and is known as Sinhasta. Trimbakeshwar Nasik is one of the twelve Jyotirlingas, having a Triyambakeshwar Jyotirlinga temple here. The two bathing ghats, Ramkund and Kushavarta are the holy lakes recognizes faith and belief of the devotees.